Alison offers shamanic healing for humans and animals. She also teaches shamanic journeying, shamanic healing and meditation and leads a regular shamanic journeying circle working with the sacred sites and land of Avebury where she lives and a regular meditation circle. Alison is passionate about helping people to live in their full power as their Authentic/True Selves. Many years of running a business providing facilitation, coaching, team and personal development to corporate organisations and studying various alternative healing practices, enables her to use a combination of the age old wisdom of shamanic healing techniques, reiki and herbal healing with coaching and business skills to provide a practical and holistic approach, . 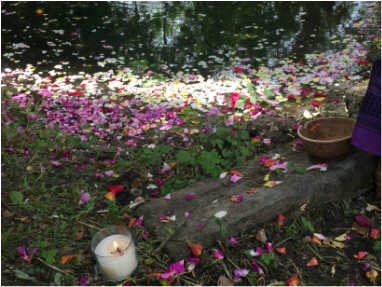 Foundation training in shamanic journeying and prerequisite for all other trainings.